Great staff and facilities! Awesome place to meet people and good location! Veel lawaai! Blaffende honden, harde muziek... Dus oordoppen mee, maar verder goed hostel! Goede prijs, mooie binnenplaats met klein zwembad. Prima hostel. Wij zaten aan de straatkant dus wel oorddoppen meenemen ivm harde muziek en lallende mensen. I found it not a really sociable hostel as a female solo traveller, but perhaps it was because it was not high season. 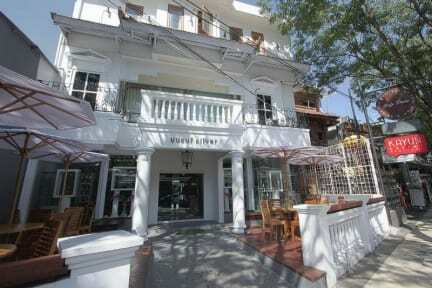 Location is quite perfect, 5min from Skygarden club and 15 minutes walking to the beach and to a shopping mall, but souvenir shops are everywhere. Curtains for the dorm beds were nice too to have. 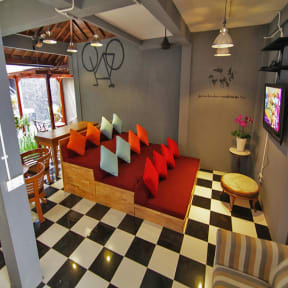 Nice hostel, location is in the centre of kuta, 50 meters of sky garden de club here. Only thing is that you also here all the clubs when you want to sleep. Would recommend it. Male staff member came into my bunk without knocking beforehand. Felt really uncomfortable with that. My transfer to Gili T was perfect and had a great price. Atmosphere could have been better, it was mostly empty when i was there. Arrived at 1.50 PM and had to wait for 10 minutes before I was able to check in. Never experienced something like this in the three months I've been traveling. Can imagine that I can't check in 2 hours before (however in most hostels I've been to this wasn't a problem at all) but these 10 minutes.. Rooms are quite noisy especially when you're on the street side. Location is great, near the bars and the beach. Wifi doesn't work in the rooms.